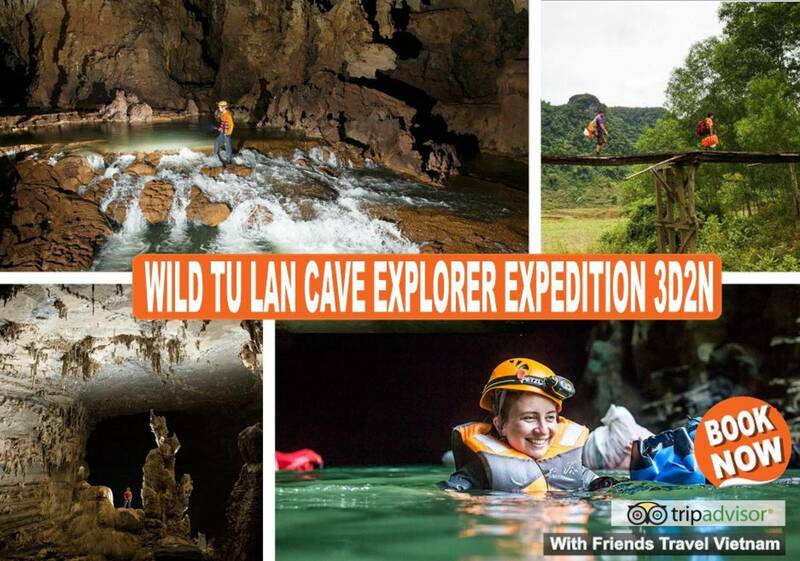 Are you ready for the "Wild Tu Lan Cave Explorer Expedition"! 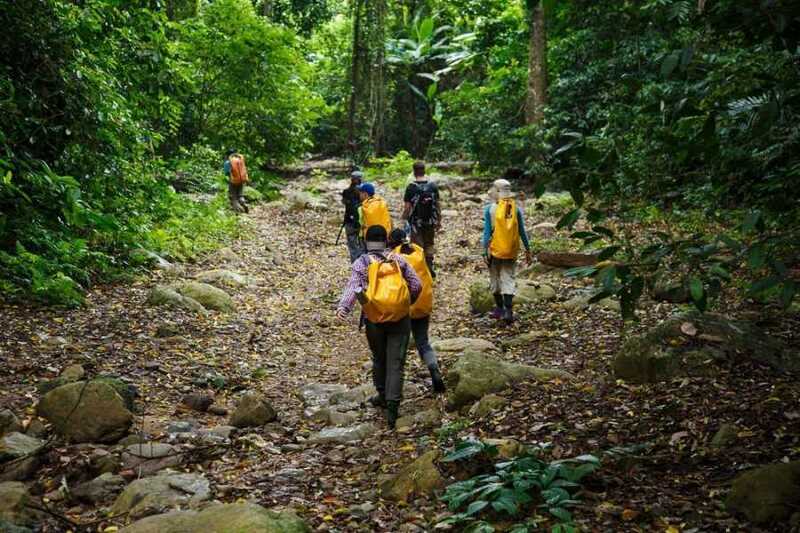 A trekking which will bring you to an unaffected ancient jungle and along buffalo fields. 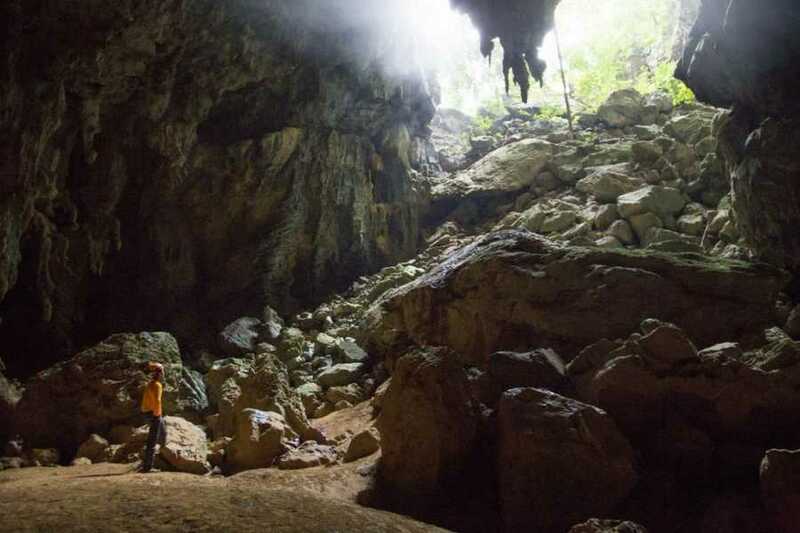 Enter a mysterious cave entrance, swim through different underground rivers and be surprised by the breathtaking limestone mountains, looming, staligmites and staligtites. 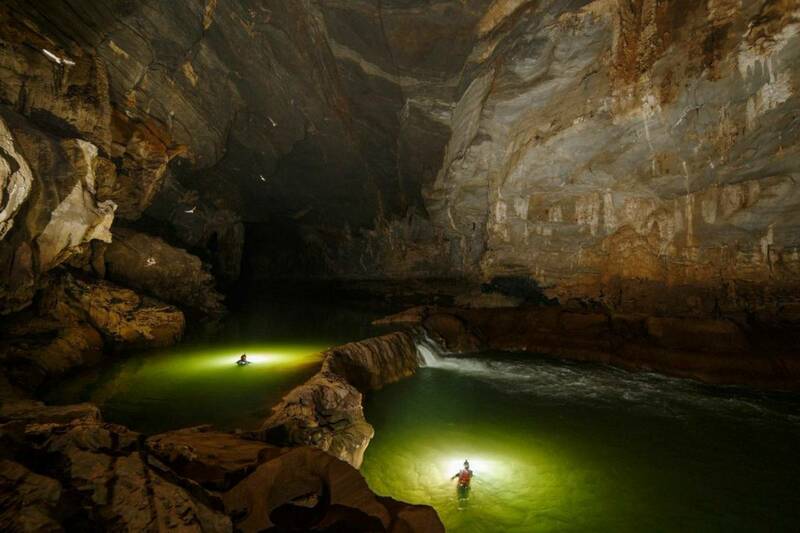 Make your way through deep, cool underground rivers, river valleys and more. 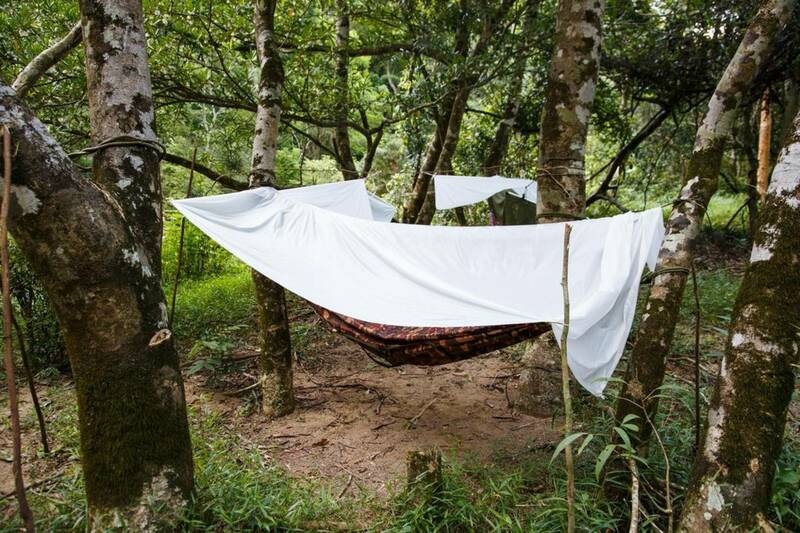 Not to mention sleeping in hammocks, accompanied by campfires and butterflies. The difference with the two days expedition? You’ll see more of the caves and go much further into the jungle! Another highlight on the Wild Tu Lan Cave Explorer is our second campsite at To Mo Waterfall, where you’ll spend the night camping inside a small cave wedged within the limestone mountain and overlooking the beautiful natural swimming lagoon. Amazing cave expedition, never to forget! After an early pick-up in Phong Nha we’ll be heading to the village of Tan Hoa for the briefing and gear check. The trekking day will start with a march across sweeping fields down to the Rao Nan River, followed by the climb of the rocky slope, which will provide us entrance to the Secret Cave. The trek continues, with lunch in between, through the Hung Ton Valley and Tu Lan Valley. A swim and BBQ wil end day 1. An early swim into Tu Lan Cave will be the start of day 2! Waterfalls will be seen on the trek back through the valley,and another swim is scheduled after lunch, to Ken Cave this time.The day will end with a trek and swim through Hang Kim, which includes a detailed exploration of the cave. By night you’ll be exhausted and fall asleep in the Vietnamese jungle. Day 3 will start off with an upstream swim past a the waterfall and through Hung Ton Cave via what is usually the exit of the cave. Exploration will be done at the entrance of Hung Ton, which will be followed by another trekking, across Hung Ton Vallet this time. After lunch we’ll head back across the Rao Nan River, and beautiful fields again, back to Tan Hoa. 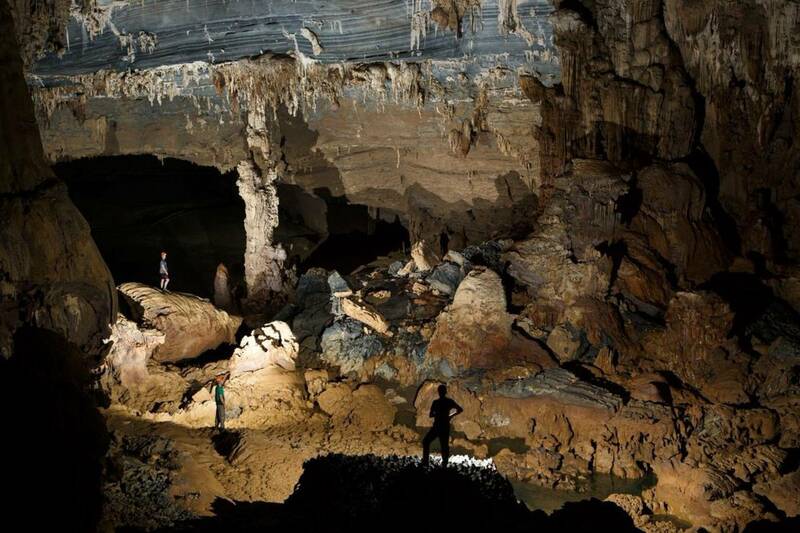 Our three-day trekking and caving adventure includes the very best wild caves of the region including Hang Ken Cave, Hang Kim Cave, Secret Cave, Hung Ton Cave and Tu Lan Cave! It is a more in challenging experience compared to our Tu Lan Cave Encounter (2 days), as you’ll see more of the caves and go much further into the jungle! One of the highlights on the Wild Tu Lan Cave Explorer is our second campsite at To Mo Waterfall, where you’ll spend the night camping inside a small cave wedged within the limestone mountain and overlooking the beautiful natural swimming lagoon. It is really something special and a highlight for many of our guests. Get ready for the adventure of a lifetime and one of the most talked about adventure experiences in Vietnam! 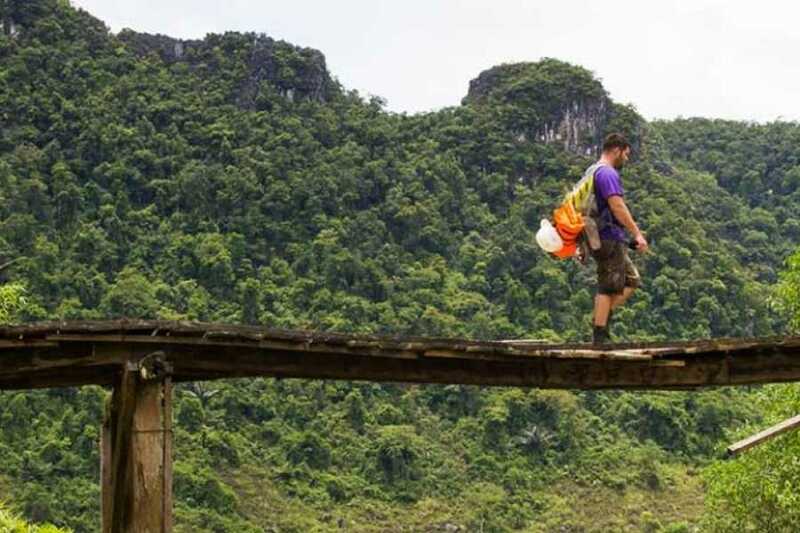 Pick-up will be in Phong Nha between 8:00 am and 8:30 am at your hotel and you'll be driven to the little village of Tan Hoa for your initial safety briefing. 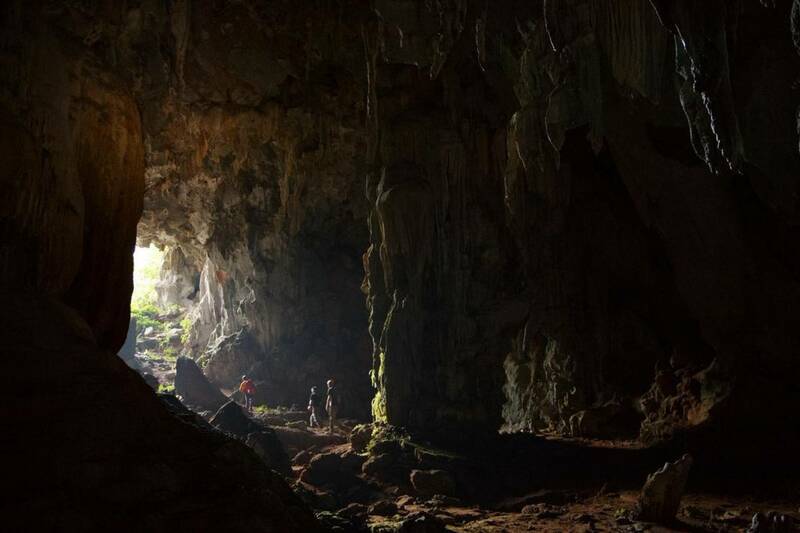 You’ll then set off across sweeping fields for 2.5 km to the Rao Nan River, where climbing ensues (50 m), up a rocky slope to find the entrance of Secret Cave for your first cave discovery. You’ll then trek through Hung Ton Valley and up Hung Ton Mountain. It’s 2 km more along the mountain ridge until Mango Mountain, where the reward is a picnic lunch and from there, the trek continues into and through Tu Lan Valley (2 km).The afternoon will finish on a more relaxed note with swimming around the waterfall, followed by a BBQ dinner, and singing around the campfire until sleep overcomes you. The morning arrives with another full day of adventure. Shortly following breakfast comes a 200 m swim directly into Tu Lan Cave. Trek 2 km back through the valley to loop back to camp for more waterfall swimming, a rest, and picnic lunch. Post-lunch, it’s a 200 m swim into Ken Cave, followed by a 500 m trek to Hang Kim where swimming (450 m) and exploration (500 m) continues before adventuring 500 m on through To Mo Valley to the To Mo Cave campsite. Enjoy another beautifully prepared dinner, and the unique experience of camping inside a cave set deep in the Vietnamese jungle. You will be picked up in Phong Nha between 8:00 am and 8:30 am at your hotel and driven to the little village of Tan Hoa for your initial safety briefing. 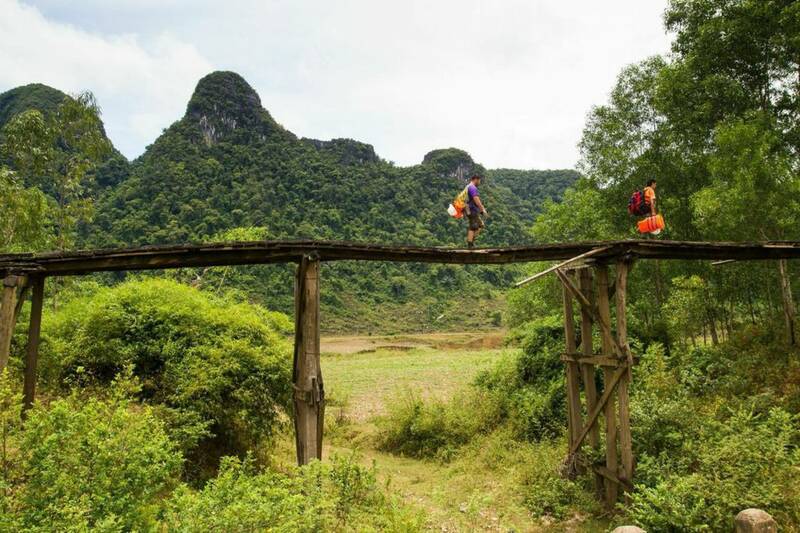 You’ll then set off across sweeping fields for 2.5 km to the Rao Nan River, where climbing ensues (50 m), up a rocky slope to find the entrance of Secret Cave for your first cave discovery. You’ll then trek through Hung Ton Valley and up Hung Ton Mountain. It’s 2 km more along the mountain ridge until Mango Mountain, where the reward is a picnic lunch and from there, the trek continues into and through Tu Lan Valley (2 km). You’ll finish your afternoon on a more relaxed note with swimming around the waterfall, followed by a BBQ dinner, and singing around the campfire until sleep overcomes you. 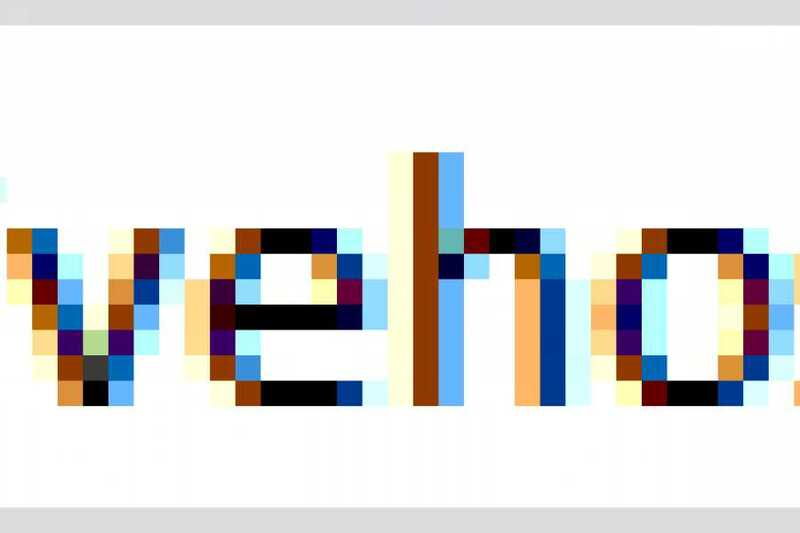 - 1 pair of shorts and t-shirt to wear at campsite and swim suit. 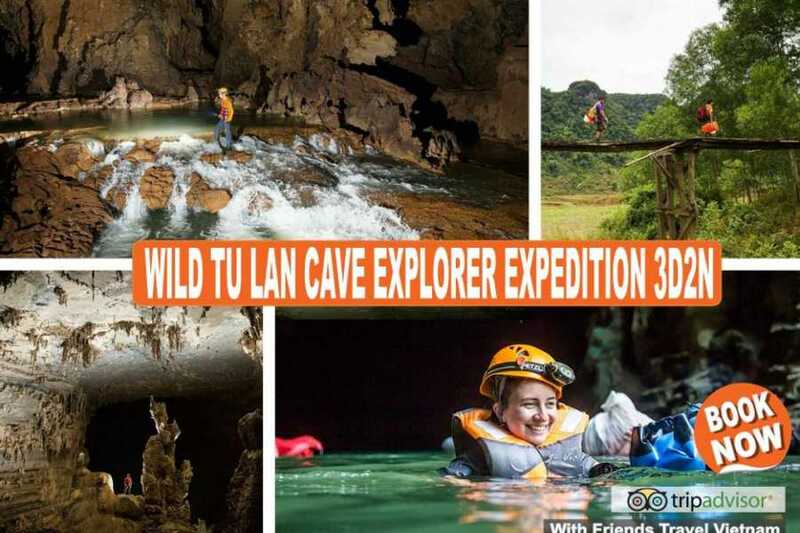 Our Wild Tu Lan Cave Explorer is moderate for anyone who considers themselves physically fit and participates in regular outdoor activities, but difficult for anyone with limited outdoor experience. You will trek approximately 18 km via overgrown jungle paths and scramble over many boulders within the caves. You should be able to swim as you’ll explore a number of wet caves of varying lengths (100 m to 400 m each). You should also feel comfortable having to climb through some small passages, and also up/down a 15 m ladder (with safety rope). Never forget you are deep in the jungle and the difficulty of this tour is also very dependent on the weather. It can get very cold during December to March (8 – 15 degrees Celsius) and very hot during June to August (32 – 38 degrees Celsius), not to mention anytime it rains the jungle becomes very slippery and muddy! 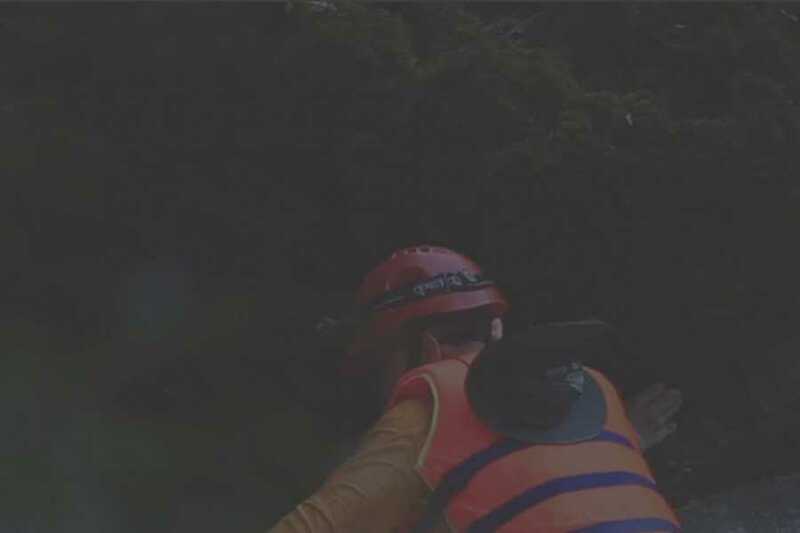 Safety is absolutely paramount on all trips, and along with having best caving equipment, you’ll be led by one of our expert adventure guides. Not suitable for children under 16 years of age. 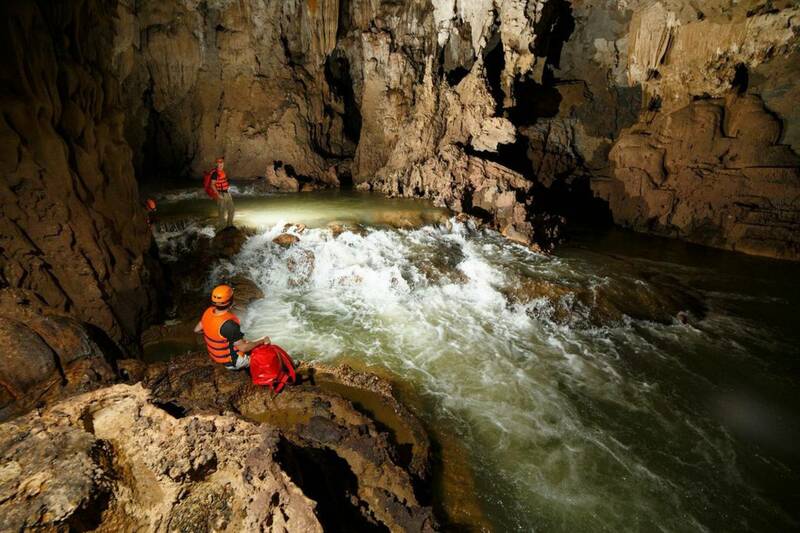 Tu Lan Cave Explorer Experience starts from Phong Nha in Quang Binh province, we can arrange transport for you by sleeperbus departure every day from 6PM from Hanoi.